in ‘business’ litigation of all kinds, often with an international element, including fund and partnership disputes, shareholder disputes, claims against fiduciaries, and claims arising out of insolvency and civil fraud. She is well-known for being “just brilliant in Court” (Chambers & Partners 2019) and “a great advocate”, for her cross- examination skills and for being “extremely good at handling appeals”. The legal directories also comment that she is “fierce when you need her to be fierce…her legal mind is incredible”, “a tough and tenacious advocate” (Chambers & Partners 2019), “a ferocious litigator cross-examiner”, that “her style is effective as she is ruthless, yet never over the top, when exposing the limitations of her opponent’s case”, and that she “knows how to give the other side a good kicking”. She has appeared before Courts and Tribunals at all levels, including the Privy Council. 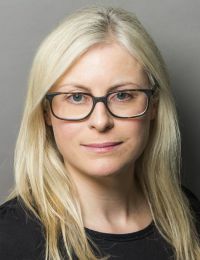 She will be appearing in the Supreme Court in May 2019 in Sequent Nominees Ltd (formerly Rotrust Nominees Ltd) v Hautford Limited, a case concerning the exercise of contractual discretions, and the reasonableness of withholding consent. She enjoys working as part of a litigation team and is recognised for being “very assured, highly realistic and someone who can manage client expectations in difficult circumstances” (Chambers & Partners 2019), as well as for her meticulous preparation of cases, attention to detail and first-rate drafting skills. “Her advice is always very detailed and thorough” (Chambers & Partners 2019). She takes care to explore issues with her clients and find creative ways to approach to the complex problems that arise in practice. “She provides clients with excellent commercial legal solutions and is quick to get to the heart of a problem” (Chambers & Partners 2019). Her clients range from investment banks and high net worth individuals to charities and those who need representation on a pro bono basis. by HNW Guide in the field of chancery: traditional. The 2019 directories state that she “is very direct and matter of fact and has a good presence in the Court room”, “demonstrates impeccable judgment and has some excellent experience for a new silk”, “is approachable, very friendly and has a keen eye for detail”. In previous years she has been described as having “an impressive intellect, and is approachable and client-friendly. Sensible, pragmatic and efficient, she is calm and collected when on her feet”; being “very pleasant and very bright, she has tons of experience and is very well respected by her peers and third parties alike”; “she can simplify the most complex arguments and she takes a firm and fair attitude to contentious matters”; “a great advocate who is very good at dealing with complex legal issues”. She has also been described as “a brilliant, self-assured advocate who is a real asset to any team”, “very persuasive and adaptable on her feet”, “exceptionally bright and hardworking. She makes the advice very easy to understand when tackling subjects that are very, very difficult”; “very approachable. I have seen her on her feet: she’s very good at cross-examination, and is very persuasive”; “technically very sharp and engaging with clients” with “an excellent grasp of complex valuation matters”. She is just brilliant in Court and her legal mind is incredible.